DALLAS, Aug 2, 2012/ — Ever since Patrick J Adams’ “Mike Ross” of the hit TV series “Suits” hit the streets of Manhattan riding a bike, wearing a suit and a crossover bag across his chest, men had found it very comfortable to carry a bag around town. And for the “Mike Ross” in every man, Marni has created the Urban Collection, a compact line, but conveys an idea of elegant protection that is welcoming as opposed to stiff. 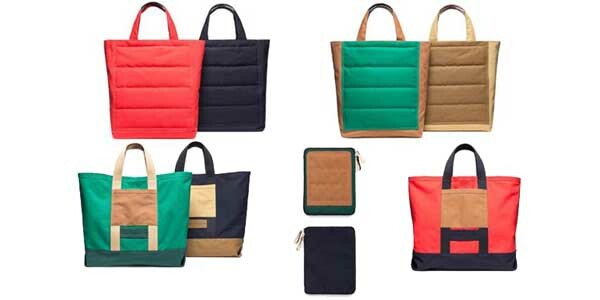 It is a very versatile collection including tote bags and i-pad cases. A heavy cotton canvas with suede applications convey this collection a geometric playfully approach, or just the functional purpose of adding warmth as a quirky accent. The MARNI MEN’S URBAN COLLECTION is available at all MARNI boutiques and at www.marni.com.